I think 2016 has been another good year for African speculative fiction, exploring existence in strange, interesting and wonderful ways. This year, the African speculative fiction society (ASFS) was launched, the Nommos award for speculative fiction was announced, Nnedi Okorafor (Nigeria/USA) won both the Hugo and Nebula awards for best Novella, Acan Innocent Immaculate (Uganda) won the Writivism Short Story Prize with a science-fantasy story, Lesly Nneka Arimah’s (Nigeria) spec-fic story was nominated for the Caine Prize, Walter Dinjos (Nigeria) won 2nd place in the L Rob Hubbard Writers of the Future contest, Unathi Magubeni and Andrew Miller’s (both of South Africa) novels which are both speculative works were nominated for the Etisalat prize for literature, Omenana is now in its 8th issue, AfroSFv2 (edited by Ivor Hartmann) and African Monsters (edited by Margret Helgadottir and Jo Thomas) both published December 2015 continued to make the rounds and gather good reviews, there are excellent new novels by Sofia Samatar (Somalia/USA), Tade Thompson (Nigeria/UK) and Nick Wood (South Africa), a new collection from Lauren Beukes (South Africa) as well as a slew of Africans featured in top genre magazines and anthologies from Clarkesworld, Strange horizons, Apex, Lightspeed… the list goes on and on. 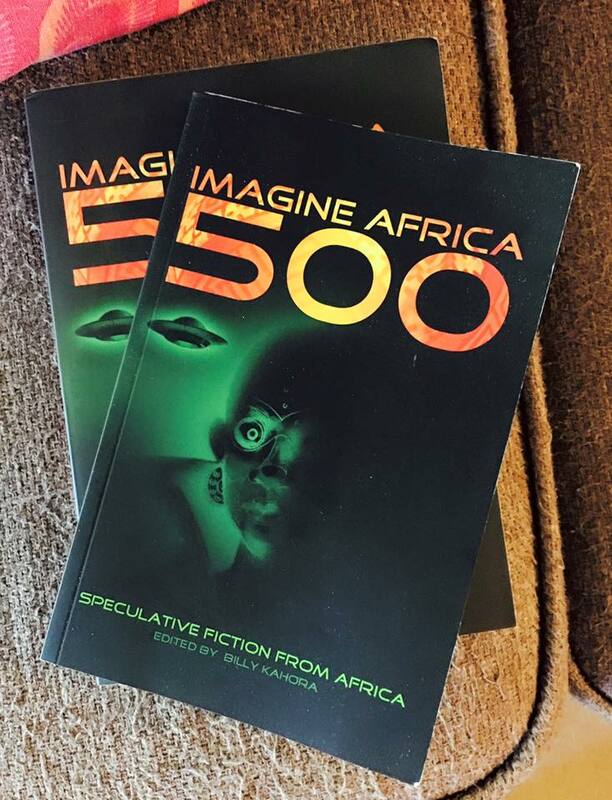 The year also saw the worldwide release of the Imagine Africa 500 anthology edited by Billy Kahora (Kenya) and Published by Shadreck Chikoti (Malawi). All this activity means there is plenty of material to be considered for the inaugural Nommo awards next year. Which is excellent. Personally, I am a huge fan of short fiction. I read far more short fiction than I do novels. I also write short fiction myself. And like I mentioned last year, I really like ‘Best-Of’ SF/F short story recommendations and lists. I’ve found some of my all time favorite stories on lists such as these. So in view of all this activity, and in the interest of fueling discussion and analysis of African speculative fiction stories in general, here are my favorite African speculative fiction short stories of 2016, in no particular order. This amazingly crafted story of love, loss and parenting is a bullet to the heart. At less than a thousand words, it is the shortest story on this list but by far one of my favorites. This is a universal story of a small South African family – a man and his curious, brilliant daughter whose intelligence opens her up to opportunities that keeps putting distance between them physically but not emotionally. In the end, the physical distance becomes incredible, it may be her scientific brilliance that brings them together again. Highly recommended and will be in my nomination list for the Nommos, perhaps even the Hugo. I have to say, Blaize Kaye seems to be an expert at crafting short stories with a punch – you should also check out his “Revision Theory” in Nature, and “Return to the Source” in Zetetic. One of my favorites in this anthology. Set in Kampala, 500 years in the future, this is an action-packed, fast-paced, and unapologetically pulpy high-concept thriller with a well-realized world painted in context. There are no infodumps or ‘as-you-know-bobs’ which some of the other stories suffer from but there is enough for the reader to figure out what is going on and enjoy the ride. In this world, all the men on the continent have been made impotent, and The Hegemony, run by women, controls everything. But when a man finds he has a son, he enlists the help of his mother who used to work for the Hegemony to get the child to a safe place. It features droids, photon guns, molecular displacement teleportation devices and much, much more. The story is so much fun with action on every page and also a lovely twist at the end. I also like that the world in the story isn’t described as a full-tilt dystopia and although there is a protagonist, no one is painted as outright good or evil. Recommended. Walter Dinjos, second place winner of the Writers of the Future Contest, delivers this story of a twin seeking revenge against the man who has sacrificed his twin brother to the spirit of a river across which a bridge is being built by foreigners from England. Dinjos does a great job of building up suspense and highlighting how the people of the village are being betrayed by their own for the benefit of the foreigners, something that resonates with the colonial experience. Although the story is linear and the villain comes across as a bit of a caricature, the quality of the writing and the spiritual, emotional, horror, fantasy, colonialism and revenge elements make for a powerful story. Recommended. One can always count on doctor of clinical psychology and professional writer Nick Wood to deliver a complex, socially conscious and intense story with powerful, disturbing imagery and still make it an exciting and fun read. In this story, the protagonist is a mixed-race (English father, Zulu Mother) Dream-Hunter with a complicated history, who works for the Justice department in the UK, using technology to enter people’s subconscious in order to find evidence that they committed (or did not commit) a crime. 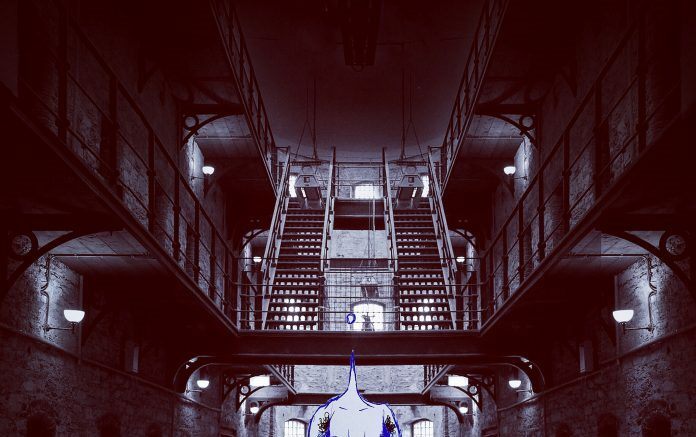 On this particular mission however when he enters the dreams of the brutal killer “Sledgehammer Jones”, who is accused of killing his wife, our protagonist comes face-to-face with aspects of himself. In the twisted dreams of this man, his past, the very concepts of right and wrong, violence, vengeance, guilt and even justice are interrogated. It’s a brilliant story and immediately I read it in Omenana, I knew it would still be on my list of favorites by years end. Highly recommended and will probably be in my nomination list for the Nommos. In this very metaphorical story, set in a future Botswana, extreme environmental damage has made it difficult to live in the real world and so most people put their bodies in a sort of stasis and upload themselves into a virtual existence called digiworld. This keeps their cost of existing down. In order to walk the actual Earth, one has to pay for everything… clean air, water, UV protection, everything. The protagonist is a young woman who isn’t really loved by her family and can barely afford to live in digiworld, but is summoned out of digiworld and into the real world when her mother becomes ill. We follow her on this journey and her interactions with her family which are not quite as expected. The story is relentlessly sad and bleak but beautiful and full of wonderful imagery. It may not have a tight plot or a water-tight central conceit but as a metaphor for modern life, societal exploitation, family relations and the struggle of an individual to make one’s way in the world and find a place in family and society, it works brilliantly, mostly because the writing is so poetic and honest. Recommended. After some sort of war 500 years in the future where the geo-engineers fail to save the world from devastating climate change, a soldier returns home to his wife. He is traumatized, she hides a secret and the earth is changing in terrible ways that affects their lives for the worse. The opening is gripping, the characterization is deft, and the themes – war, love, death, home, climate change, and infidelity – are explored through the interaction between the couple brilliantly. One of the things I loved most about this story was the use of an evolved language – part pidgin, part truncated words (for example the Oce is the Ocean and the Sah is the desert). Of course language in 500 years will be different from the way it is now and it’s done well, so the reader is never lost. The end is tragic but earned and every aspect of the story has an unfortunate beauty to it. Highly recommended. SunDown is a fascinating bit of science-fantasy that tells the story of Red Sun, a young albino boy awaiting the death of the sun in Nakasongola, a remote region of Uganda. It takes place in the year 2050 and some of humanity has already fled the Earth which will surely die with the sun but only the ‘right’ kind of people, “geniuses with perfect genes” were allowed onto space ships to search for a new home. Red Sun, and the others left behind have features that apparently aren’t quite ‘right’. From here the story explores loss, science, religion, abandonment, mortality, and what it means to be human, through Red Sun’s memories and interactions with the others left behind. It’s a thoughtful story that thrives on mood and feeling (no reason is offered for why the sun is dying 5 billion years ahead of schedule or how Earth survived the evaporation of its oceans during the early red giant phase or why it collapses to a black hole when our sun doesn’t have nearly enough mass to ever become a black hole, etc, etc.) But who cares? Red Sun, Nyambura, Askari, The dwarf, these are all great characters, the writing is confident, beautiful, enjoyable and the subject resonates. In that way, it is a bit like Lesly Nneka Arimah’s “What It Means When A Man Falls From The Sky”. ‘SunDown’ won the 2016 Writivism Short Story Prize. Recommended. In this story, a Swedish woman leaves her country and family and volunteers to go to South Africa in order to help fight a strange new disease consuming Cape Town and turning its victims into something horrifying. She arrives and finds out that the place, the disease and the people, are not what she thought they’d be and is forced to come face to face with monstrous inhumanity and her own relationship to it as an outsider. 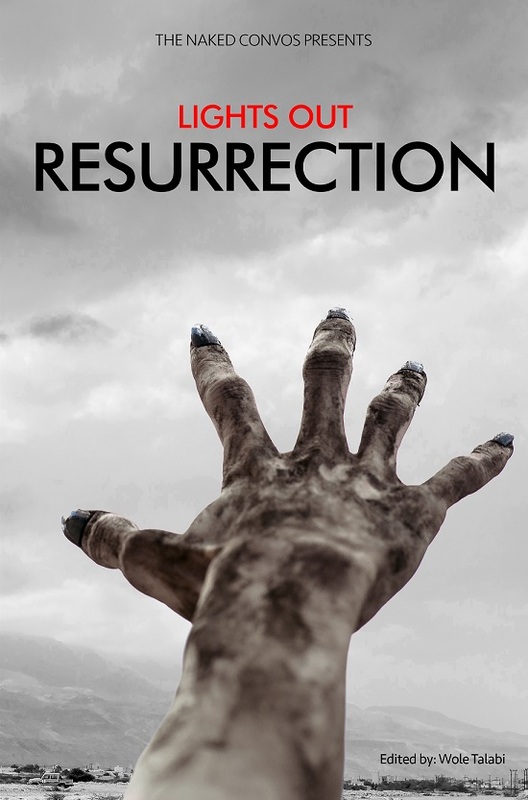 I edited this original story for the collection “Lights Out: Resurrection” and I really enjoyed its pace and its themes on policing, politics, race, poverty, and healthcare. I know an editor is not supposed to have favorites but… forgive me. Of the original stories in the collection, I really, really liked this one most. Recommended. Set in Nairobi after mechanical traffic robots called Rusties have been deployed, the story follows a woman who considers one Rusty in particular, her friend. This friendship, along with the actions of her cheating boyfriend, inadvertently triggers unrest when natural emergence of a kind of sentience among the networked robots, a solar flare and human mistrust of the intelligent machines collide. The story has a big concept, scope and world but a small, intimate focus, on the woman’s relationship with the Rusty. While this means the story has some slabs of infodumping to explain the situation, it also means that the story never gets boring or goes off on a tangent and we keep caring about the narrator through everything. To be honest even the infodumps are quite interesting. The subject of emergence intelligence/sentience is one I really enjoy and is the subject of a story I just finished writing as well so I loved reading this exploration of the concept by two of Africa’s finest creative minds. I think you will too. Recommended. 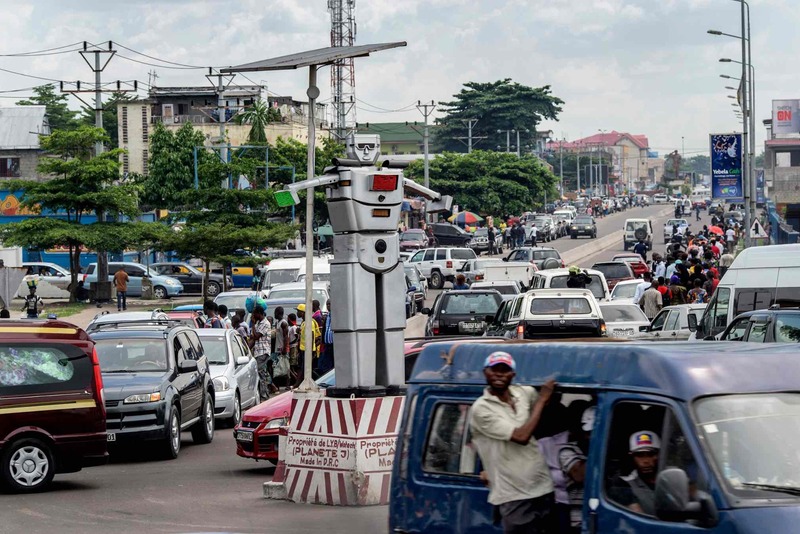 Fun fact: This story is inspired by the real-life situation in Kinshasa where the government installed giant solar-powered robots designed by Thérèse Izay Kirongozi to control traffic and mitigate their poor urban planning. I first read this story when the awesome editors at Omenana, by some fortunate accident, sent it to me instead of an edited version of my own story ‘The Last Lagosian’ which appeared in the same issue. I opened the file, realized it wasn’t my story but kept reading anyway. I literally read the whole story standing in the middle of my kitchen, staring at my phone, unable to stop. This is an incredible story that explores policing, family, anger, art, generational and societal injustice, migration, desensitization, frustration, terrorism and weaponized emotion. I won’t even bother summarizing the plot because at its heart the story is not so much about the mechanics of what is happening, but about the way it makes the reader feel. I think the whole story is one big metaphor. The author even seems to allude to this with the story’s opening. Tochi, unlike his narrator, is very good at metaphor and as far as metaphors go, this is bullseye. I enjoyed this story and I highly recommend it. So that’s it. What were your favorite African speculative stories of 2016? Of course I didn’t include any of my own stories. That would have been silly. I did however write quite a lot of short fiction in 2016, you can find those HERE, if you like, and make up your own mind about them. Needless to say (and yet, here it is, being said [written, but you get the point]), this is a personal list, and I certainly don’t think these are the definitive ‘best-of-the-year’ as some clickbaiters would have you believe. These are simply my personal favorites based on my own reading, tastes and what I’d recommend to anyone shopping for African spec fic from 2016 to read/consider. I have a natural preference for science fiction over fantasy, horror or any of the other speculative sub-genres so this list is probably biased in that direction. 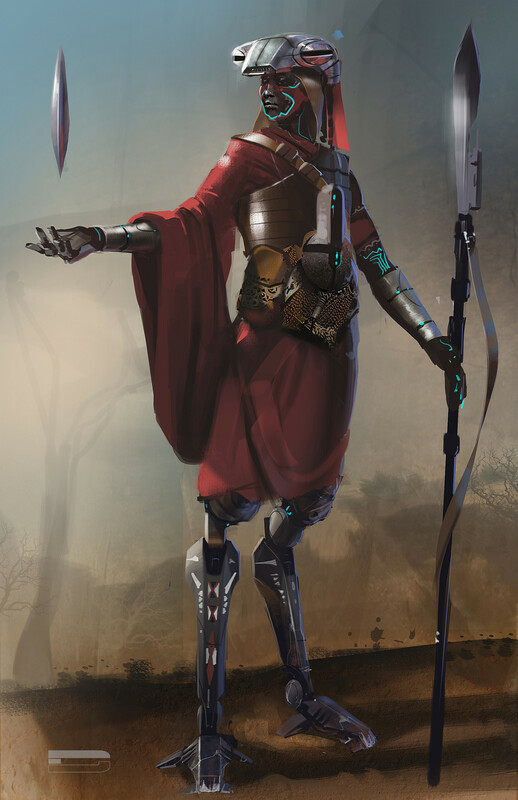 I’d love to see more East and North African SFF being published. I suspect there’s a hotbed of potential and talent in Kenya, Ethiopia, Algeria, Egypt, Somalia… and many others, that I just don’t get to see. Maybe I’m not yet clued in on the circles. Anyone with information and links to books and magazines from those regions in general, please let me know. UPDATE (20/12/2016): I have now read “The Apologists” by Tade Thompson and I loved it. While it doesn’t particularly focus on Africa or African characters, it has a brilliant premise and a great protagonist. I wrote a review HERE. Near misses – stories that I have read and enjoyed and that could easily have been on the list as well if 10 wasn’t such a convenient number for such lists. Check them out too. If there is an African spec story published in 2016 which you thought was spectacular and you don’t see on this list, then check this one. And if you still don’t see it there, then please let me know by filling this form or commenting below.